Many students view foreign language courses as the least important class on their schedule, often putting in minimal effort. Yet with only 26 percent of Americans identifying themselves as bilingual, the importance of these language classes should be obvious. Language teachers offer much more than lessons in vocabulary, grammar and pronunciation of a language—it is a chance to further understand the perspective of different people and connect to their different cultures, beliefs and traditions. This cross-cultural connection is rarely discussed in any other class, and should not be taken for granted. Yet students continue to neglect these courses, and some common excuses for this are that the classes are too easy or the topics are irrelevant to their interests. Although this is not an excuse to completely ignore a class, both the class’ curriculum and the students’ mindsets need to change before high schoolers can start regarding these courses as interesting and effective. If language classes took an even deeper dive into cultural aspects of the language, such as sharing native food with the students or taking a trip to an historical location of that culture, the students’ interests would be more piqued during class. The mindset of students also needs to change, by taking their language class more seriously. I admit that during my freshman year, I shared the same thought process as a majority of students in Diamond Bar. Since it was one of my easiest classes, I would often put minimal effort and thought into the homework, paying less attention in class. And I am pretty sure a lot of students would agree with me. 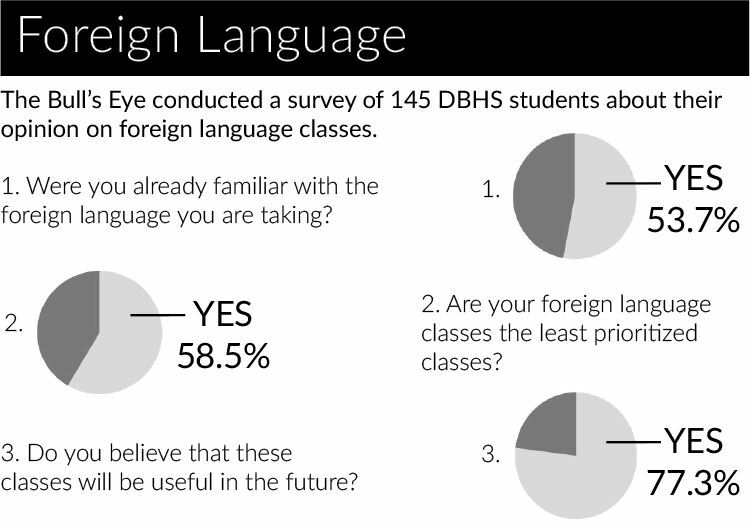 For many students at DBHS, the choice of which language class to sign up for is usually determined by what the student already knows or speaks at home. This leads to students taking the class less seriously since it is less stressful. Yet, there are also students who choose to challenge themselves by taking a language they are unfamiliar with. Usually when this happens, the student soon dislikes the class, feeling left behind and sometimes intimidated by all the other native speakers. Most of them drop out of foreign language by sophomore or junior year. The benefits of knowing a second language extend beyond one’s high school, boosting internship opportunities in college or career opportunities in the workfield. Bilingual candidates applying for jobs, internships or chances to study abroad, especially in areas such as healthcare, education or international business, are often viewed more favorably than those who only speak their native language. According to Money.com, some bilingual job candidates are given salary premiums. A second language also opens the door to a greater variety of occupations to choose from. It is also true that many students will never learn more than the basics of their chosen foreign language; who knows if they will even remember the basics in the future? But that is another story. 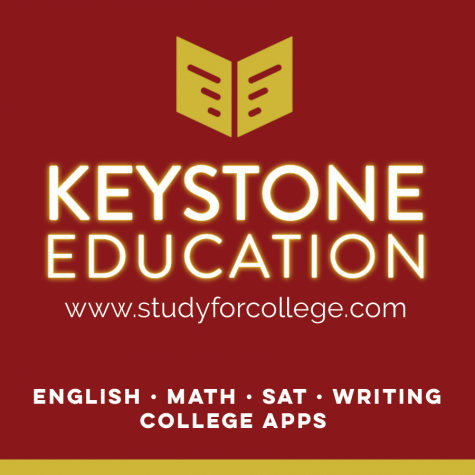 Most colleges require two years of foreign language before acceptance, so high schools have a legitimate reason to be labeling these courses as mandatory. Instead of viewing these classes mere requirements, students should see foreign language classes as an opportunity to expand cultural and occupational horizons.